A dedicated nurse is taking on the challenge of walking over fiery coals in memory of her best friend who died at the hospice where she works. Fiona Mitchell, a nurse on the adult in-patient unit at Keech Hospice Care in Luton, can’t wait to take on the charity’s Firewalk next month. The event holds a special place in her heart because she’d planned to do it with pal Debbie Nyman before she sadly died battling cancer in 2017. “When Debbie was diagnosed, we made a list of all the things we wanted to do together, but we never managed to do a firewalk. So, when this opportunity came up, I decided it was time I take on the challenge and do it for Debbie. Seeing the amazing care she received when she was staying at Keech is what inspired me to work there. “I’ve never done anything like this before, but I’ve got my friends and family behind me and I’m really excited about pushing myself further than I’ve ever gone before,” said Fiona. It’s hoped the event will raise thousands of pounds to help Keech Hospice Care continue to ensure adults and children who have a terminal or life-limiting illness get the excellent specialist care and support they need. Firewalk is the ultimate test of mind and body, with participants walking barefoot across 12 feet of hot coals, nearing 1,200 degrees Fahrenheit. Liz Searle, CEO at Keech Hospice Care, says taking part in the Firewalk helps the charity make the difference for seriously ill adults and children when it matters the most. “We really need everyone to show their love for Keech Hospice Care by taking on this exhilarating challenge. It’s also a great opportunity to come to see the hospice for yourself and I promise you, Keech really is a hospice full of life. There’s no need to be frightened to visit here. 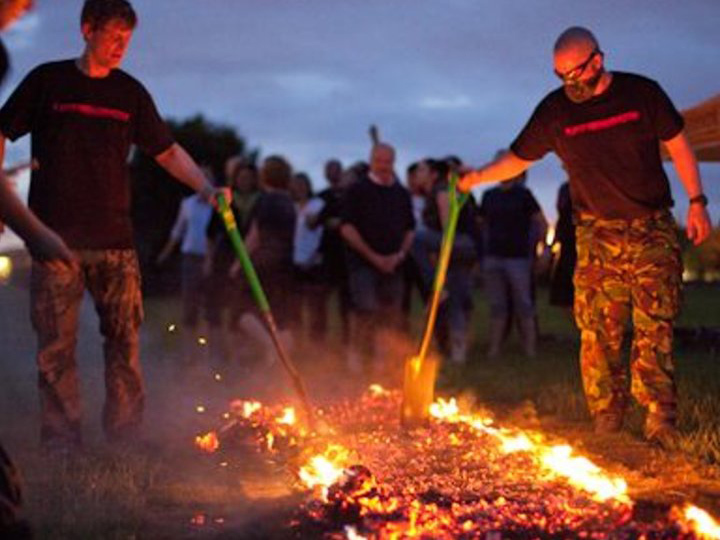 “By doing the Firewalk you’ll get an amazing adrenaline rush and be raising vital funds so our fantastic care team can continue to support seriously ill adults in Luton and south Bedfordshire and children across Bedfordshire, Hertfordshire and Milton Keynes. To sign up to Keech Hospice Care’s Firewalk on Sunday, 17 February visit www.keech.org.uk/firewalk or call 01582 707940. Registered Firewalkers receive a medal on completion. Entry is just £25 for adults over the age of 18. Training begins at 4.30pm at Keech Hospice Care, Great Bramingham Lane, Luton, on the day and the Firewalk starts at 6pm.